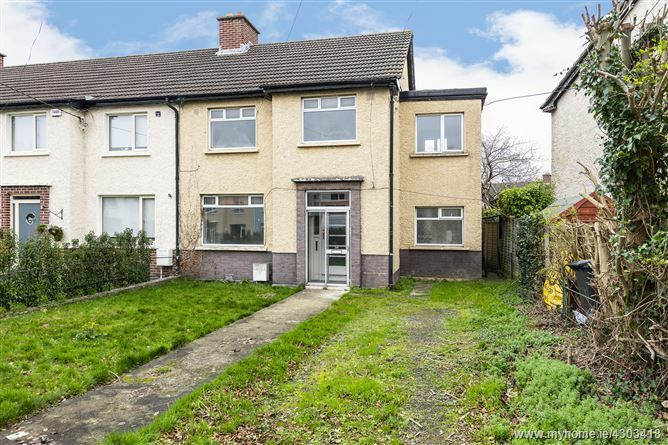 This is a deceptively spacious four bedroom end of terrace home in need of modernisation and updating. It is nicely situated in this quiet cul de sac, just off the Braemor Road. 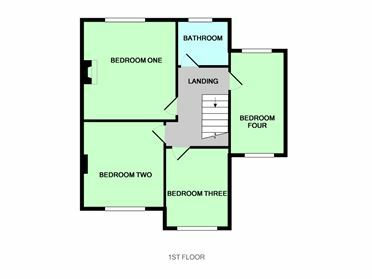 The house features bright well-proportioned accommodation over two levels with two inter-connecting reception rooms, a kitchen, shower room with utility off at ground floor level. 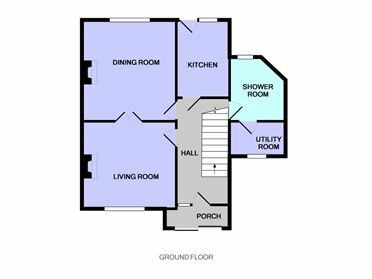 On the first floor there are four bedrooms and a family bathroom. There are good mature gardens both front and rear with the added benefit of off street parking to the front. And a side access leads to the walled rear garden, 21m approx. There is great scope to further extend and/or adapt to suits for ones own needs subject to planning. The location is one of great convenience; being within a stroll of excellent local shopping at Churchtown and the Dundrum Town Centre and the villages of Rathgar and Terenure are just minutes away. Within walking distance of the High School in Rathgar, there is a wide selection of well-established junior and senior schools nearby as well as UCD Belfield. Leisure facilities are plentiful with walks along the river Dodder from Orwell to Dartry Park or the playing fields of Bushy Park. The LUAS and reliable bus service provides easy access to the city and the M50 is not far away. Spacious with original wood flooring and access to reception rooms. Overlooking rear garden, with original tiled fireplace, wooden flooring and built in press. 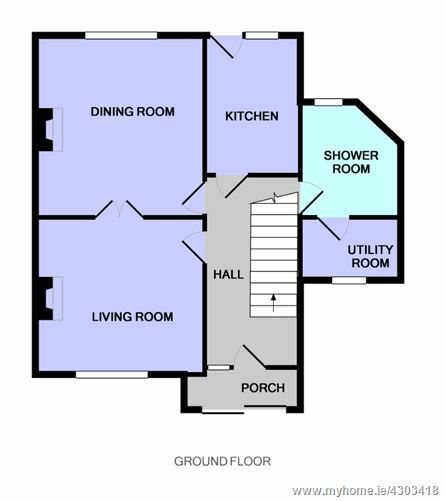 This room has been stripped of its units, is plumbed and has part tiled floor and walls with access to the rear garden.